EURUSD is chiefly under the influence of the ECB meeting about its monetary policy and also some economic data such as German Monthly Report in Europe and the US is releasing TIC Long-Term Purchases and the NAHB Housing Market Index. After the sudden drop of EURUSD on Friday this pair started today with a small bullish candle. Now the support rests at 1.10300 with resistance at 1.10820 which both lines are below the monthly pivot point at 1.11470. The EMA of 10 is moving with bearish bias below the EMA of 100. The RSI is below the 50 level and the MACD indicator is moving in negative territory close to the neutral zone. 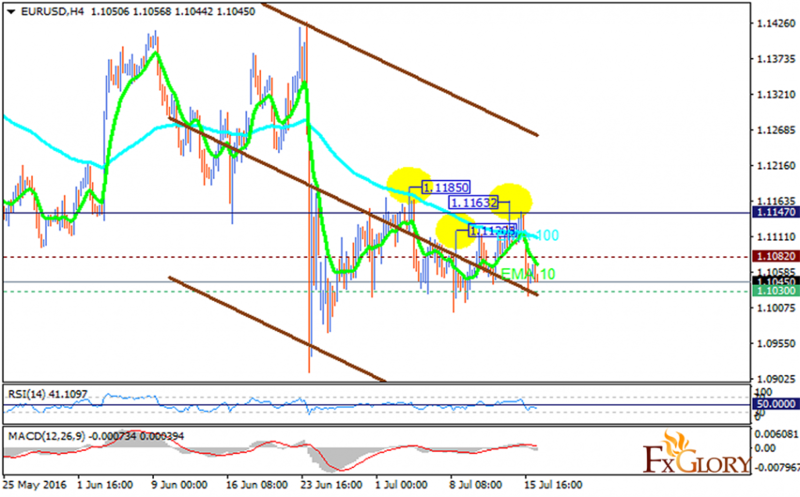 There is strong support around the 1.1030 area, the might be correction after the support level hit.